Off the Cuff Marketing is a full service marketing agency that focuses on creating results. We are based in Toronto, Canada with an international and domestic clientele. Our team’s combined expertise in marketing, advertising, business consultation, website development, SEO solutions, information technology (IT), e-commerce, graphic design, copywriting and social media strategy ensures that we are qualified to provide the creative and comprehensive solutions you are looking for. Off the Cuff Marketing creates custom projects in an extensive range of media, from logo design to multimedia campaigns. Our boutique approach allows us to work directly with you to develop an in-depth understanding of your brand and marketing objectives. We tailor our services to fit your needs. 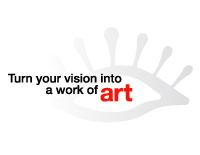 Off the Cuff Marketing does what it takes to turn your vision into a work of art.